The primary function of BANT is to assist its members in attaining the highest standards of integrity, knowledge, competence and professional practice, in order to protect the client’s interests, nutritional therapy and the Nutritional Therapist. 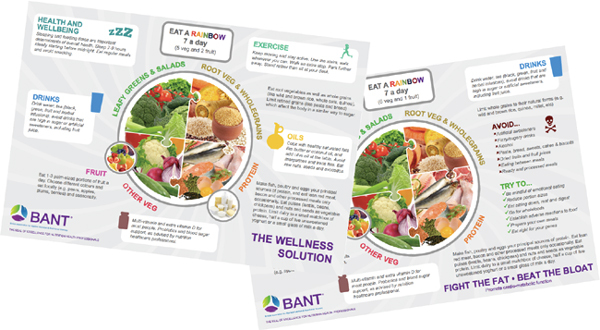 BANT members are qualified in both the science of nutrition as well as clinical practice. BANT promotes the activities, training and continuing professional development and recommend our practitioners keep fully updated in their profession. We also insist they are fully insured to practise. BANT was set up as a Company Limited by Guarantee in February 1997. It is a non-profit organisation funded neither by pharmaceutical, agrochemical, commercial or government agencies but by member subscriptions and donations. BANT promotes high standards of education in Nutritional Therapy and high standards of practice and ethics within the profession. BANT acts as a professional body overseeing the activities, training and Continuing Professional Development of its practitioners. BANT has a governing council of nine people, some of who may be non-members but whose professional experience lies in the medical, scientific or educational area of nutritional science. BANT practitioners must have met the required standards of training, be fully insured and adhere to the CNHC Code of Conduct, Performance and Ethics and the BANT Professional Practice Handbook. BANT has a UK-wide network of area co-ordinators who organise support for local practitioners.